New for 2018 Season all our holiday homes now have bed linen and beds made up on arrival for our guests. This payment is non-refundable if cancelled. Balance will be due 6 weeks prior to the arrival date. If your holiday is less than 6 weeks away we will require the full Payment to secure dates. A £50.00 Security bond which is refunded after holiday if no damages occur. 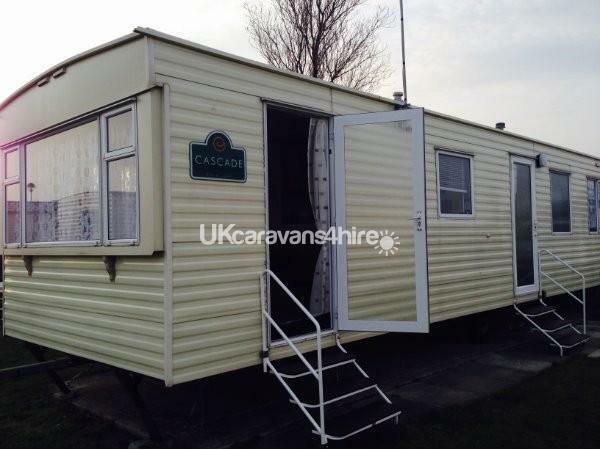 Our 3 bedroom, Coastal Cascade for hire on Presthaven Beach Resort. 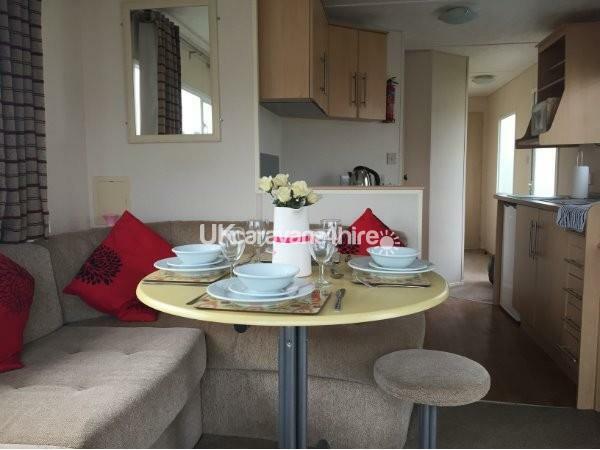 The holiday home is situated on the main area of the park and only a few minutes walk from all the main amenities. 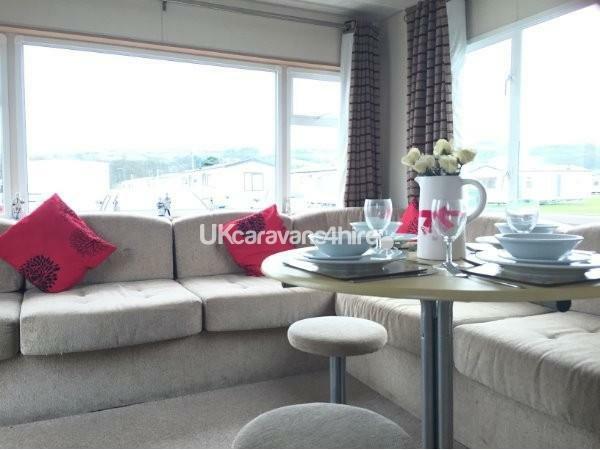 Our three bedroom holiday Home sleeps six comfortably and has one double bedroom, two twin bedroom. 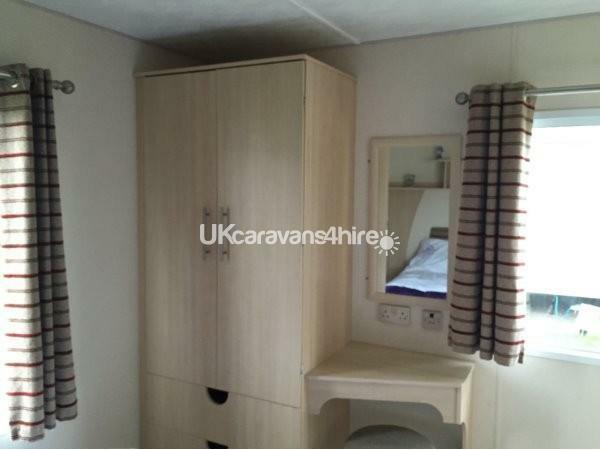 With lounge/dining area, kitchen, bathroom with shower, wash basin, toilet and the hallway complete the accommodation. The lounge has a gas fire, TV with Freeview and DVD player with a selection of books and DVDs. 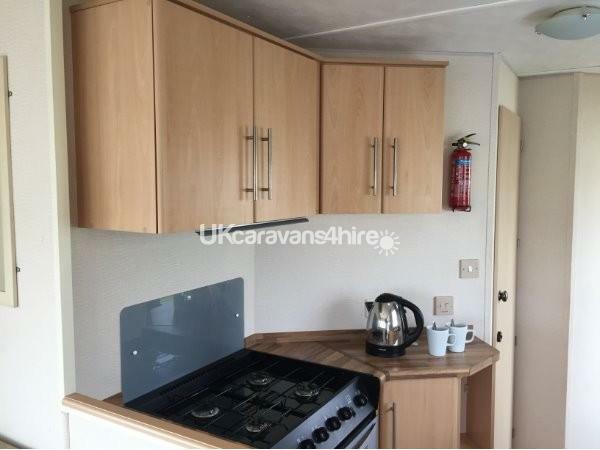 A full inventory of kitchen equipment includes a cooker, microwave, toaster, fridge and all the crockery, glassware, pots, pans and utensils needed. 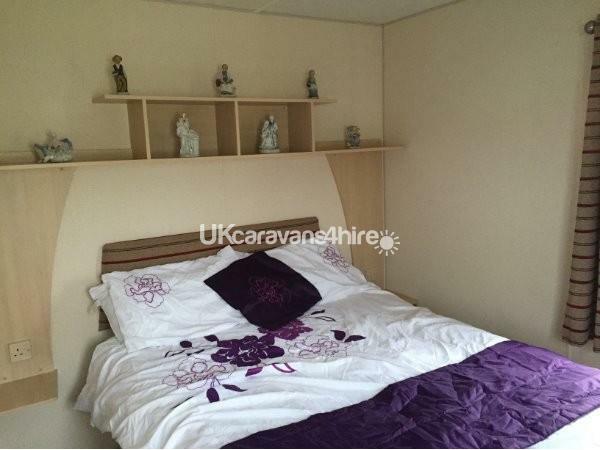 FunWorks passes are not included in the caravan hire cost. If required, these may be purchased at reception on arrival. Presthaven Beach Resort: Facilities on site include Indoor swimming pools, two family entertainment venues, and reasonably priced restaurant/bar food. The beautiful Presthaven Beach Resort has lots of Sandy beaches some great dunes with the flat coastal plain we're located on, is surrounded by gorgeous green countryside and some great walks too. Entertainment: Let the good times roll. You can count on Haven to help keep your family entertained everyday of your holiday. Haven's daily entertainment schedule includes morning and afternoon activities that are organised by Havens FunStars and members of the Seaside Squad. And at night Haven FunStars take to the stage to show their hidden talents as glamorous live performers. Plus, Haven will be bringing you some extra special acts on selected dates through the summer! Food and drink: Mash and Barrel bar and restaurant, Papa John's Pizza, Burger King, Traditional fish and chip shop. Shops: Mini market convenience store and gift shop, Bakery, cart hire shop. Services: Launderette, WiFi hotspots in Mash and Barrel and terracing, Telephones, post boxes and cash machines.